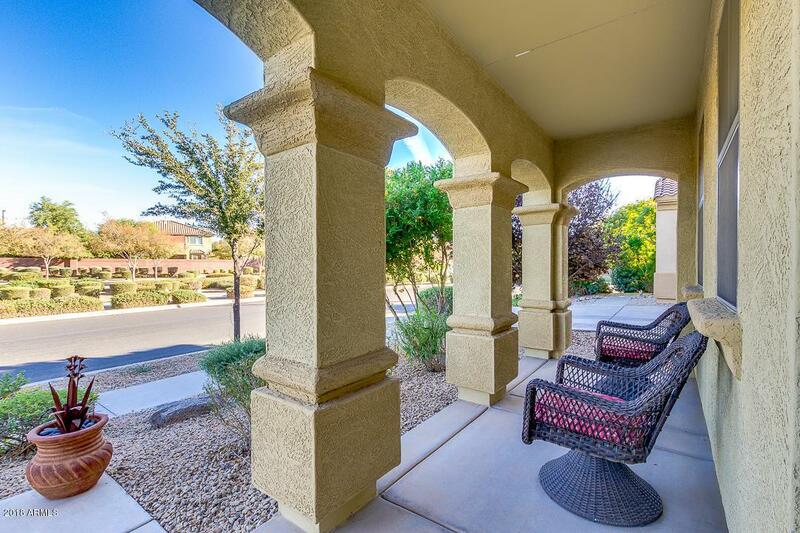 Fantastic LIKE NEW home in Cooley Station! 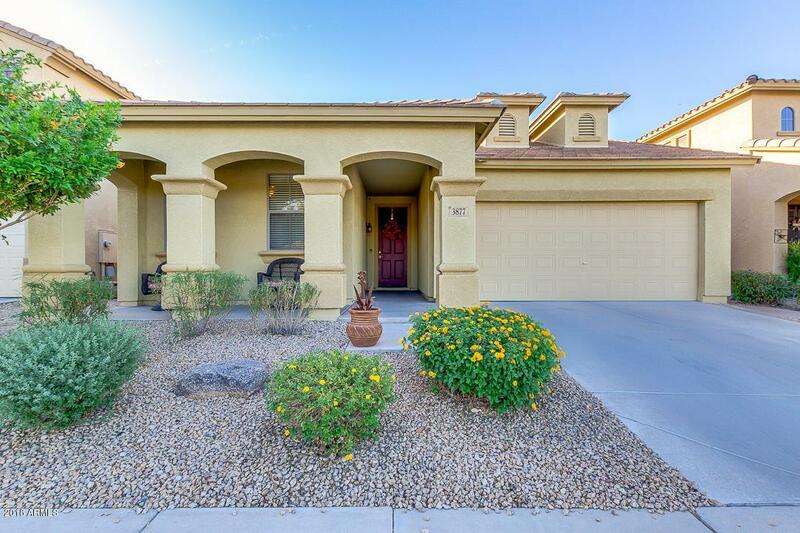 This home has been beautifully updated within last several years along with the backyard that has been designed to perfection boasting a gorgeous gas firepit, pavers, synthetic grass, beautiful plantings & custom side gates. You will find 20'' Tile in all living areas & carpet only in bedrooms. Granite in kitchen & bathrooms. 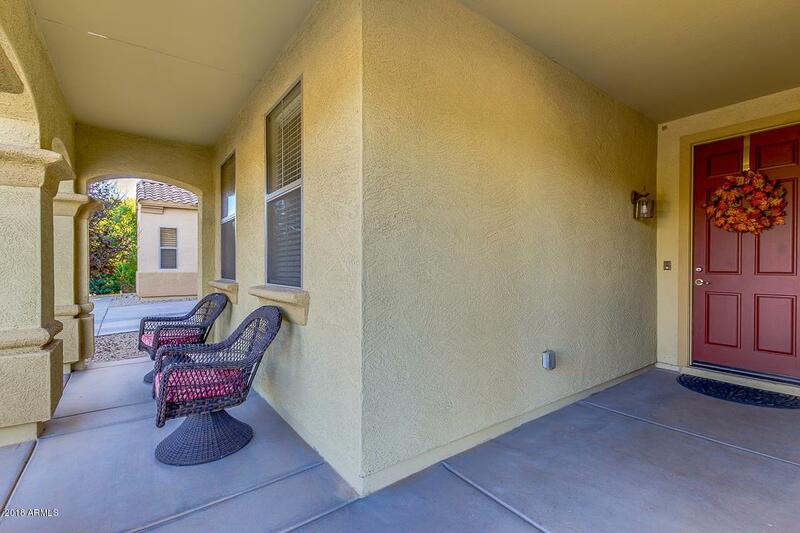 There are no neighbors across the street so you have a nice view of the greenbelt as you come & go from your beautiful home. The community pool is walking distance so no need to jump in your car when you would like a quick swim. 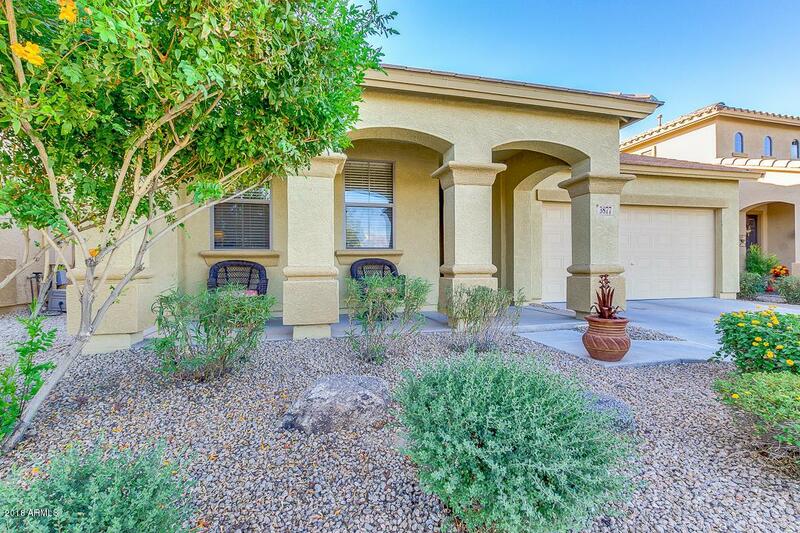 This home has location, location, location less than 4 miles from the popular San Tan Village Mall & Loop 202. Don't miss out on this great opportunity to own this beautiful home! It won't last!